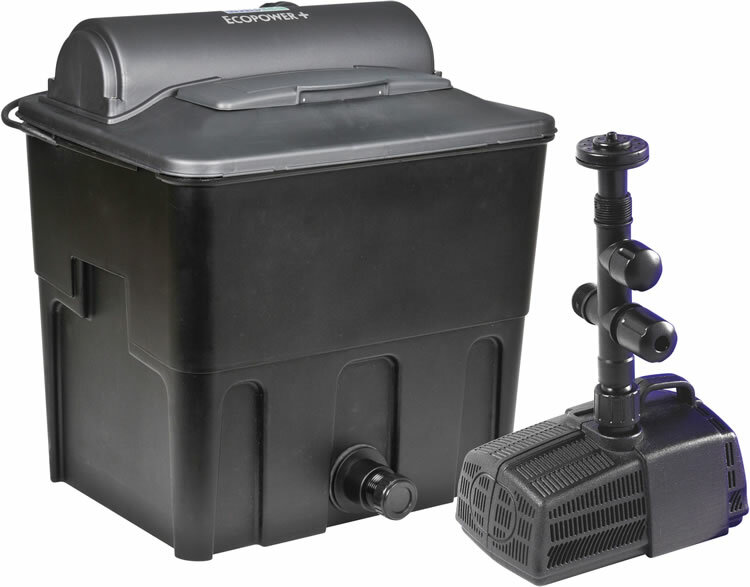 This complete filtration system comes with the Hozelock Clearwater Guarantee and includes all you need to provide filtration and a fountain or waterfall for ponds up to 6000 litres. The system works by the pump passing the water in to the filter (the pump can also be used to create a waterfall or fountain) the UV clarifier eliminates green water and the filters remove waste particles and toxins making the water clear and healthy. Suitable for pond up to 6000ltrs or 3000ltrs for ponds that contain fish. 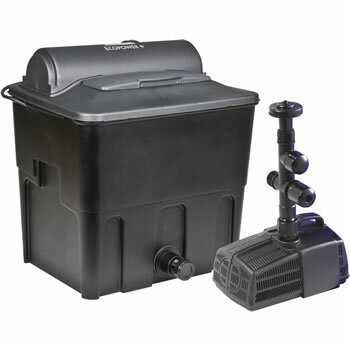 This complete filtration system comes with the Hozelock Clearwater Guarantee and includes all you need to provide filtration and a fountain or waterfall for ponds up to 6000 litres. The system works by the pump passing the water in to the filter (the pump can also be used to create a waterfall or fountain) the UV clarifier eliminates green water and the filters remove waste particles and toxins making the water clear and healthy. Ecopower+ filter with UV clarifier. 1400 litres per hour pump. 7mtr of Cypriflex pond hose.